An e-commerce website may be what your business needs. These are becoming more common and varied in their purpose and types of products. Most people know Amazon, who has been selling online since 1996. But nowadays there are even e-commerce websites that sell chickens art pieces. So, if you produce or sell something, it is quite likely that you need to have an e-commerce website for those products. 11 Are you ready to have your own website? 11.1 Contact us right now! 16 Are you ready to have your own website? 16.1 Contact us right now! The basic principles of an e-commerce website are related to those of physical stores. Knowing a little about how to arrange products in a physical store, and the easiness that should be given to customers to find products and pay, can be of help in defining your e-commerce website. An almost essential condition for an e-commerce is that make it easy the search for products. For that, it is normal to have a product search box in the header of the website. That is the best place to locate it, as it could be displayed on any page viewed within the website. If you can not, or decide not to locate it there, the next option would be a sidebar. Now, do not place a product search box or place it in a way that is not obvious, it will greatly limit your customers find what they are looking for and can buy it. The next basic factor is that the website builds trust. This is especially true in the case of e-commerce websites, as people will not share their credit card details if they do not feel secure. The first thing to do is to get a SSL security certificate. This one is represented with the green lock that is next to the name. The purpose of this certificate is that the communication between the device that is using your website and your server is encrypted, this way preventing from data being obtained by hackers. Other elements that generate trust in customers is that your phone and email are published very clearly in the header of your website. Having an online chat would be very useful to help customers with pre-sale questions they may have and during the sale process. You should publish on your website a page that explains your conditions for sales, or the guarantees that buyers would have. Make clear the rules you have established in your e-commerce. Have you noticed how the products in a supermarket are organized by aisle? That way, people know almost instinctively where to look for what they want to buy. Likewise, the products you have on your e-commerce website should be organized by categories. If you have products with more than one brand, brand should be another term of organization. Also, in some CMS, such as WordPress (which uses the WooCommerce plugin) it is possible to use tags to group products. To exemplify it, suppose you have an e-commerce casual clothing. Some basic categories could be “Ladies”, “Knights”, “Girls”, “Boys” and “Children”. This way you could categorize the products by whom they are targered. Other categories could be “Shirts”, “Blouses” “Pants”, “Skirts”, etc. With this you distinguish by type of clothing. In this class of products, in particular, the brand is usually very important. So you have to indicate the brand of each of the products. However, tags could be used for less relevant aspects in products. Following the example, some tags could be “stripes” or “squares”. Thus customers could find only striped or squared clothing, regardless of brand or category. Particularly on e-commerce websites users should feel comfortable. This can only be achieved through great design and user experience. It is clear that no e-commerce website is addressed “to everybody”. Instead of that, like in certain stores there are certain customers, also to your website will come and buy only the customers that you attract and that look for your products. For example, in an e-commerce that sells accessories for girls, there will not be many middle-aged male clients (except for a father looking for a gift for his daughter). But we still design for the probable, not for the possible. Then, according to the audience you address to, you should make a nice design. These design elements and user experience will determine the font to be used, colors, images, icons, language, etc. So, is very important to clearly define the specific audience that you want to reach long before you start designing. The home page of an e-commerce should serve to set the website personality and make it clear that it can be achieved there. You should highlight the key product or products you have for sale, and make known the product categories of the inventory. In e-commerce websites you can do that by using a hero image or a slider that you see just opening the page, just below the menu. Then you can place banners of the categories of products, in order of importance. Some special offers, temporary or targeted to a specific audience may follow. You can also group products in some associations that can get customers’ attention, and present a selection of those on the homepage. As an example, some products can be featured. By assigning them that value, we can make them stand out on the website. These may be interesting for new customers. Another group may be new products. By the date they were added to the inventory, these can be detected by the system. These products may be of interest to frequent customers, who usually look for novelties to keep buying. The best rated products are another grouping that can be displayed in the homepage. For anyone who sees them, the fact that they are the best valued by other customers, is a guarantee that they are good and worth buying. Finally you can indicate which products are in sale. Even if specific products are changed, it is good to always have products on offer. There are customers who are only interested in the products in sale. But then, after getting their attention, they may see that they need another product that we have for sale. Since the website is an e-commerce, it is appropriate to place all these banners and product groups on the homepage. If any product falls into 2 of these groups, then so be it! For example, a featured product could also be one of the best rated. That will surely sell more. Every e-commerce website should offer more than just its products to attract more customers and promote their sales. To this we can call the special offer. Some options would be to offer coupons, discounts, free shipments, express shipments or something like that, after a purchase over a certain amount. That encourages customers to buy more and over that amount. In addition, there must be something in which you stand out, something tangible that you can offer to your customers. That would be the promise. Some promises could be the best after-sales service, lifetime warranty, training, best quality, etc. As an example, to the clients that hire us to make their website, we give 3 months free of the basic plan (valued at $147) to make adjustments to your page, even if it was launched within a week of having hired our services . With that promise we make, customers can feel confident that we won’t leave them just as soon as their website is ready. It is good that you think carefully that you could give as your special offer and your promise, because is sure your clustomers will claim it. It is normal that, once within your website, a customer wants to review the inventory of only one category of products. Suppose you have a beverage e-commerce. Some basic categories would be “Alcoholic” and “Non-Alcoholic”. But within those categories there are many others possible. Others could be “Beers”, “Wines”, “Whiskies”, “Gins”, etc. Well, for a customer to see only the beers, you could create a page of product categories. This way the page where the beers can be seen could have a different design and banners than what you would see on the wine page. This would be appropriate as the beer-seeking public is generally different from the wine-seekers. So your design, language, and advertising could vary. It would be ideal to do this for each category of products. The particular page of a product is perhaps the most viewed in your website. It is quite likely that a user has come directly there from Google or another search engine, and has never seen your site. So, if you have some information that all your customers should know, do not put it only on the homepage, but on the whole site alike. Amazon has set a standard that is best to follow when displaying products, perhaps with slight differences because of your particular design. Users expect to see the product photo to the left of the page, and if you have more photos of the product (which would be optimal) they should be displayed in a thumbnail to the left, right or below the main photo. It is very useful to have a left sidebar that helps to search, filter products, view categories, other products that you have seen before, etc. To the right of the page there should be information about the product. The main thing is the name of the product. What the product name should conform varies by type, but basically anyone should be able to know or be able to distinguish that particular product from any other similar by reading it name. For example, if you sell spare parts for cars the name must include what is the part, brand, model, year, version, and some other detail that distinguishes it, if there was one. It could be something like: “Alternator Peugeot Partner 2016 1.6 4 cylinders gas”. The condition of the product (new or used) does not necessarily have to go in the name, because very often the websites sell only products of a condition. That is, or they sell only new products, or only used products. The photos of the product are of supreme importance. It is the only way your customers have to see the merchandise before buying it. It is good that the photos are right focused, are of excellent resolution, sufficient size (at least 600×600 pixels), light (if possible less than 100 Kb per photo) and free of distractions. Many e-commerce websites make their photos with a white or black background, depending on the color of the product. Jewelry and small size products, in particular, should have excellent photos. If possible with elements that help to perceive well its size and how they would look. To explain it: one of the pictures of a bracelet should be the wrist of a young woman wearing it. Below the product name the short description is placed. This is designed to say only the essentials of the product. Maybe some reference numbers, target audience, quantities in which it is sold, etc. could go in this section. Below the short description should be the button to add to the cart. This begins the sales process. That button should be large and obvious, corresponding to the website design. It is best to say “Add to cart” to say “Buy”. Below these key elements, goes the long description of the product. Here you can extend as much as you want to explain the benefits of your product. Even if people do not read it, that text improves SEO. Explain absolutely everything you can about your product. You think that a customer has arrived at your store, only you can not talk to him/her. Then you leave written what you need him/her to know about the product. Customer reviews are usually placed underneath or at the side of the long description. The clients pay more attention to them. That means that your work does not end when you publish your products, but you should get some good reviews from customers. For that, try to communicate with some who have bought you something. Or maybe offer a discount in exchange for a review. The truth is that people value their peers, other customers, over what you say, the one who sells some products. Would not you do the same? Making the decision to add a product to the cart is not fast or easy. Then you do not want people to regret buying because your buying process is very complicated. So make sure the process is super easy and friendly. Ask your customer for only the data you strictly need. As a general rule, when a customer has finished buying the products he/she wants, he/she looks for them in the cart. From there it goes to checkout, which is similar to being at the cashier of a store. There you can see the products you are buying and the quantities of each one. By accepting that, it goes to pay. This is the most delicate part, as it is where the monetary transaction is carried out. If the result is positive, you should go to a thank you page, where you explain to the customer when and how he/she will receive the products. Likewise, that customer has been created on your website so that he/she can buy again more easily in the future. Now is your turn to confirm that all is ok and to make the shipment. The e-commerce websites are among the most delicate that exist because the people make monetary transactions in them. 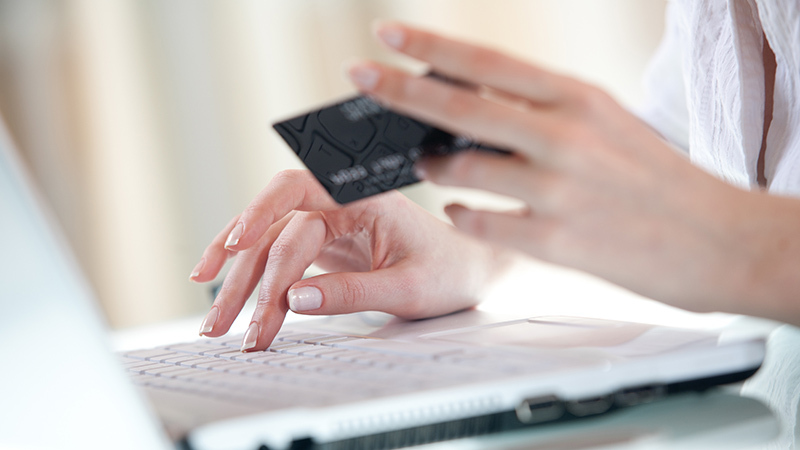 The payment methods you choose could make some customers decide to buy or not. One world-famous payment method is PayPal. It is synonymous of trust for many people. Another one that has gained popularity lately is Stripe. Some countries have particular payment methods for their currency. A good idea would be to activate several payment methods, and let the customer decide which one use to pay. There is no problem that in your e-commerce website can be paid with PayPal, Stripe and some other local payment gateway. Once the sale has been completed, if your product is physical, you must make the shipment. If you do not give it for free, it is ideal to charge the shipment to the customer during the purchase, instead of being a surprise for this when the merchandise arrives. Depending on the country, there are means that, knowing the weight, measures and value of a product, the shipment can be calculated. If you do not include it for free and you have no way to calculate it to collect it, you must make it clear that the price of shipping is not included and it is not up to you, but the carrier. Once your website is designed, and you have loaded your inventory, you are ready to receive your customers. The thing is that they don’t know you. Then you should not limit yourself in advertising techniques. Any marketing strategy you use to publicize your e-commerce website will help. You can use ads on social networks, Google, Bing, or other websites. If you have a physical store, put signs so your customers see that now they can also buy online. By the speaker system of the store you can also make it known. Whatever medium you use to get customers will be fine. But your greatest effort should come when someone has already become your client. It is much easier to sell again to someone who has already bought you than to sell a stranger for the first time. So keep your customers informed about news, offers, discounts, etc. All of these details about how e-commerce websites we share in this article come from studies that have been done and the experience we have gained from doing it for many clients for a few years. It will be a pleasure to use all that knowledge and practice to make yours as well. You are free to contact us so we can talk about your project.